And it's never looked better. After creating an impressive aftermarket program for the F10 BMW M5, IND turned to upgrading the 4.4-lityer twin-turbo V8. 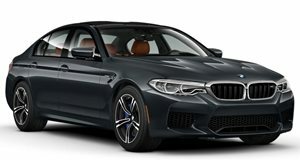 Unable to master complete control over BMW’s cutting-edge chassis and engine control computers, instead of working on getting as much horsepower as possible out of the thing, IND decided to create a raft of aftermarket parts. From the splitters to brake pads, a deluge of new parts were made for the M5 and it looks better than ever. Dubbed the Blue Deluge, IND’s M5 maintains some of the original build’s components such as the AMS downpipes, larger AMS-built turbos, KW three-way adjustable ClubSport coilovers, and BBS alloys. The BMW interior has been reinstalled, removing the roll bars, an RKP front lip and rear diffuser have been added, and a stunning Yas Marina Blue paint job replaces the racing livery inspired design. We spent a week with the CTS-V and learned what a real super sedan should be. Supple and compliant on the road; a monster on the track.